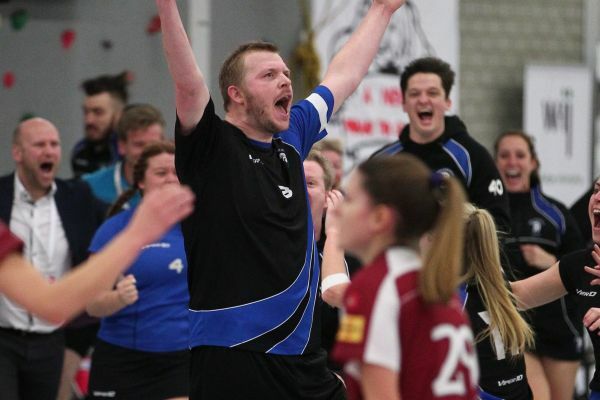 Last weekend (14 January) our national champions Trojans Korfball Club from south Croydon, won the bronze medal at the IKF Europa Cup beating Vallparadís from Catalonia 23-24 with an open-play goal scored by captain David Brooks with just 2 seconds left! The IKF Europa Cup is an annual competition open to the national champions of Europe. Trojans also won bronze at the 2012 edition of the Europa Cup in Warsaw, Poland. David Brooks top scored for Trojans with 17 goals, followed by younger brother Sam Brooks with 14. Amy Turner was Trojans top female goal scorer with 9 goals. Congratulations to Trojans Korfball Club from everyone at England Korfball on this fantastic achievement!